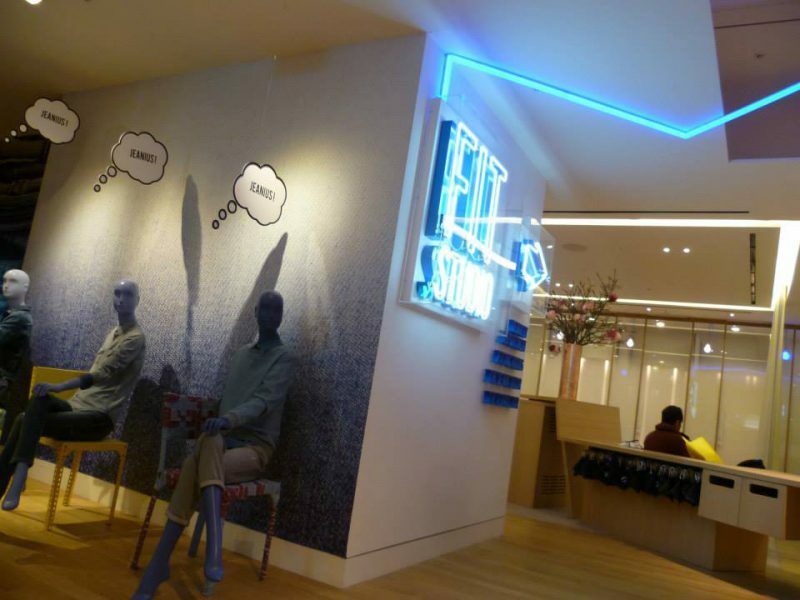 Selfridges destination denim stretched its legs and stepped out as the World’s largest dedicated denim studio. No idle fascination this 2500 square metres throws a curved ball at the conventions of category collections with Selfridges claiming jeans from £11 to £11,000 in a range of over 11,000 pieces. 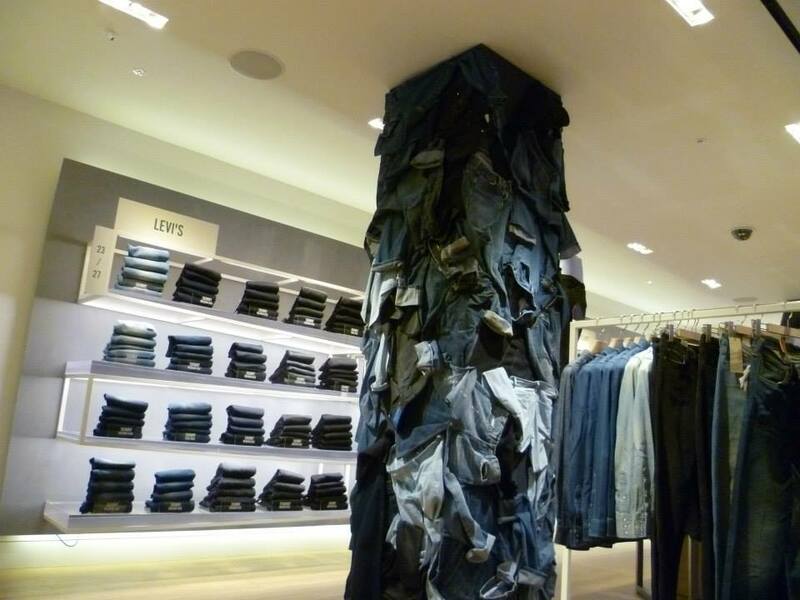 Denim journeys unfold past acrobatic mannequins and parades of pillars bedecked in blue. Our denim fabric focus, our fibre fascination is satisfied in the special space of the “Fit Studio,” the designate “Denim Taylor.” Denim specialists guide the traveller through the myriad of cuts, fits and fashion washes, ensuring every curve is flattered, every nerve un-shattered by the burden of choice. 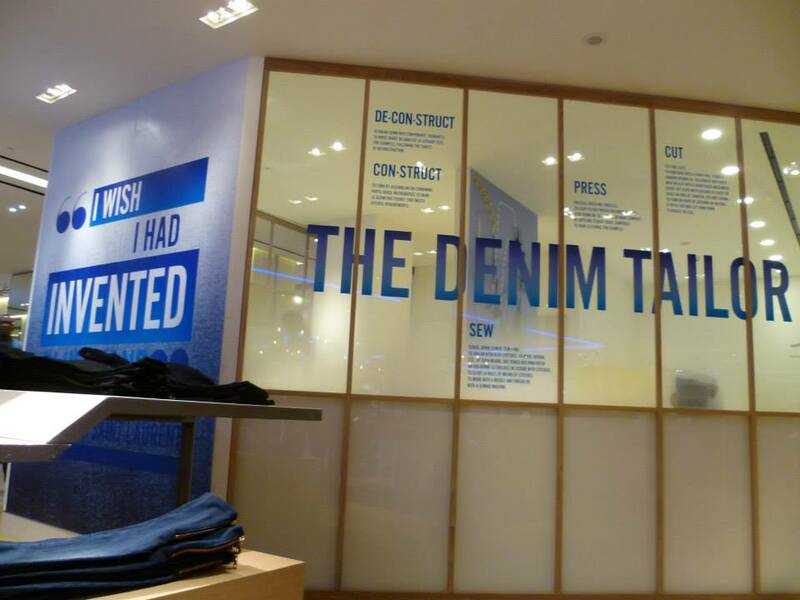 For those with individual taste and dreams of denim devolution the Denim Taylor offers the perfect “nip” and “tuck” and the promise of a creation from scratch to satisfy the itch of even the most demanding denim devotee. A beast awaits for the unwitting soccer star too big for his boots. 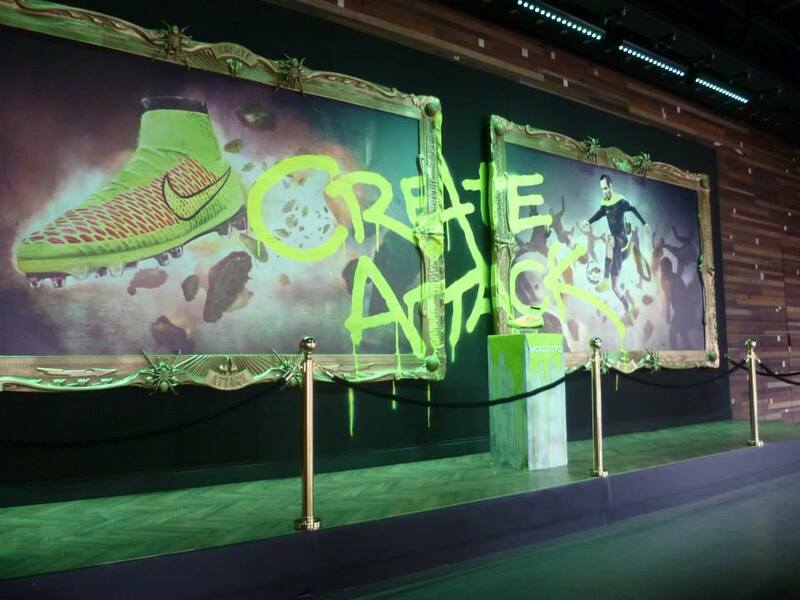 The Nike Magista. 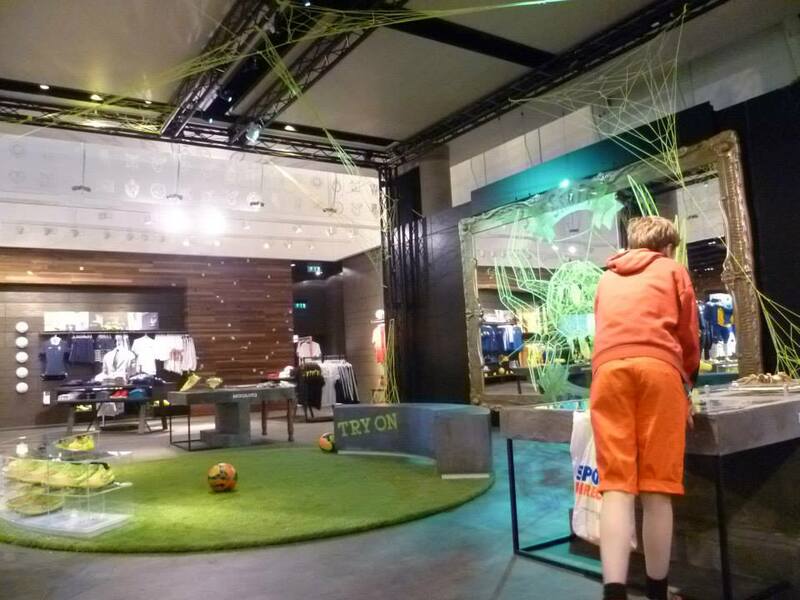 In Nike Town there’s only one hero in a store that celebrates many, waiting to catch any passing would-be superstars tempted in by the promise of miraculous skills, fabulous footwork and a future in the fantasy world of football footwear. The Magista is the new “super-boot” from Nike, worn by the rich and famous from the privileged echelons of the glorious game. With World Cup fever raising the temperature Magista takes centre stage, as a cunningly created giant spider, fresh from the forests of the Amazon, the backwaters of Brazil. Fluorescent windows, inspired by the supernatural sci-fi B-films of the fifties, give the boot an almost supernatural persona as it promises to “Create” & “Attack” in the best tradition of out-of-this-world encounters. From weird and wonderful, to gargantuan graphics here is one world superstar who has timed his run to perfection! How is your World Cup going? OMG for HMV. 9000sqm of fashion oxygen was injected into the East side of Oxford Street with the opening of the retailers second flagship store in central London on the site of what was once HMV. 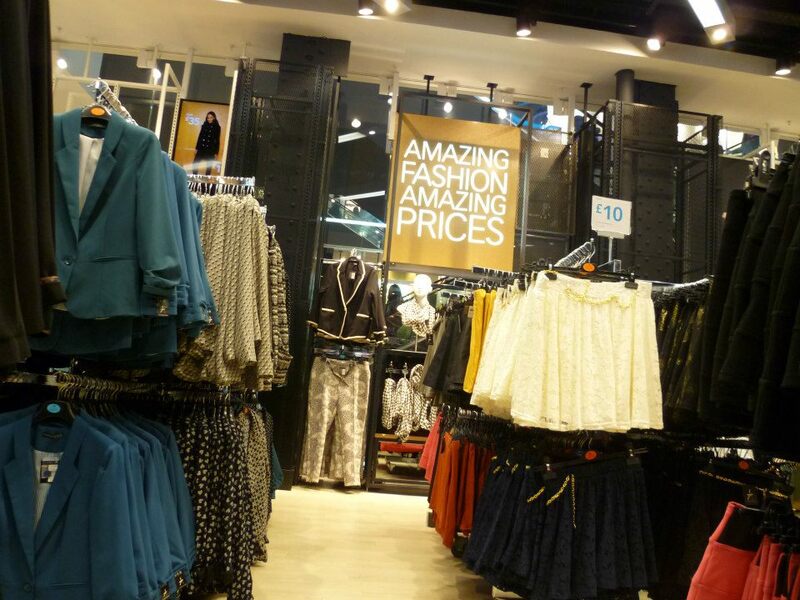 One year on, and with an extension looming the Primark band-wagon shows little sign of slowing, and why should it. 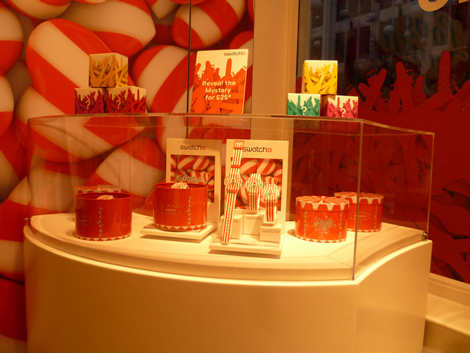 The Oxford Street second store proving to be a watershed moment bringing tears to the eyes of competitors across Europe. 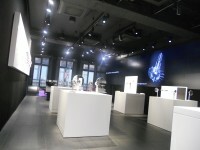 The design marked a more contemporary move from video walls, walk-through entrance tunnels with wall to wall graphics, the continued evolution away from impractical table displays to hanging garments and a variety of display developments inspired by the relatively new visual merchandising department. And so the empire grows across now established markets in Spain and Portugal and through the still largely unexplored but potentially massively profitable cities of Germany and continental Europe with plans to cross the Atlantic. A watershed in deed! 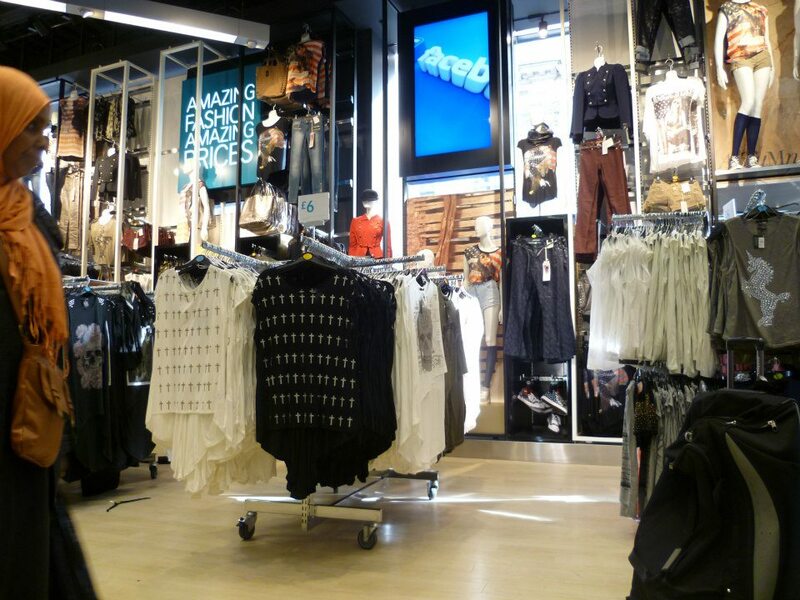 Are you at a crossroads moment in your retail history? 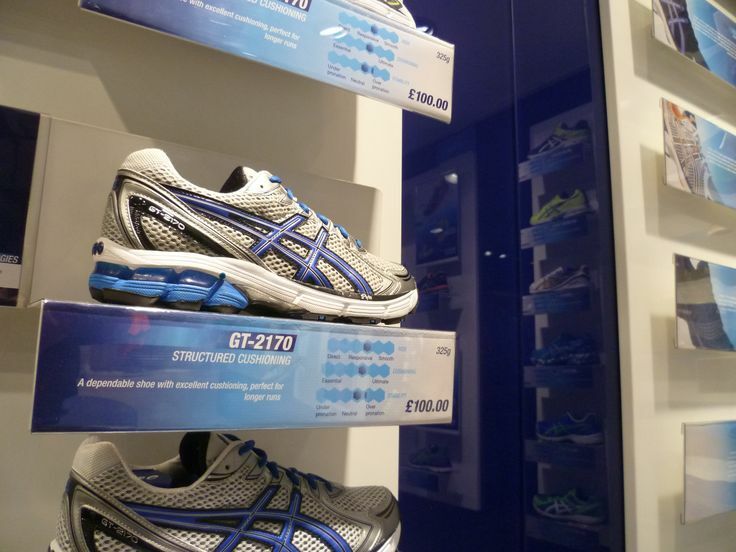 the Asics flagship stores exude a confidence that comes from being one of the premium performance footwear brands. 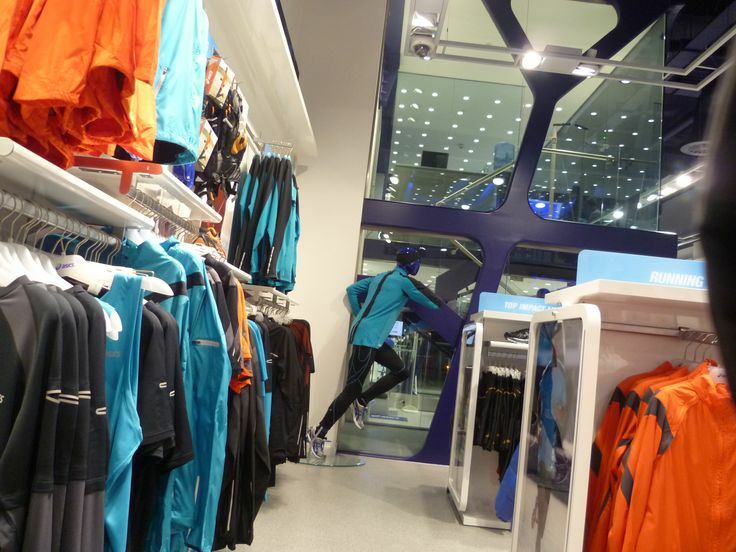 There is authority and integrity in the regimented displays, the streamlined athletic mannequins and the tactile surfaces of the store. 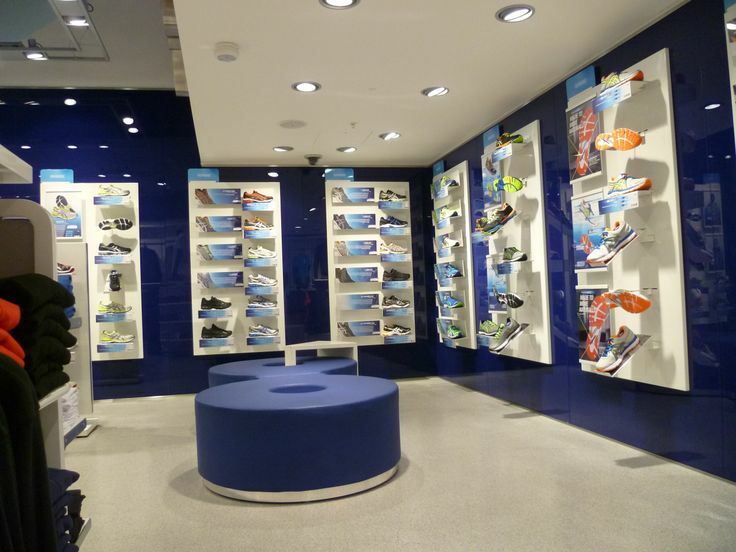 Focal to the proposition and the adventure through the store is the footwear laboratory where potential purchasers can participate in a plethera of tests to find the perfect footwear for their desired activities. 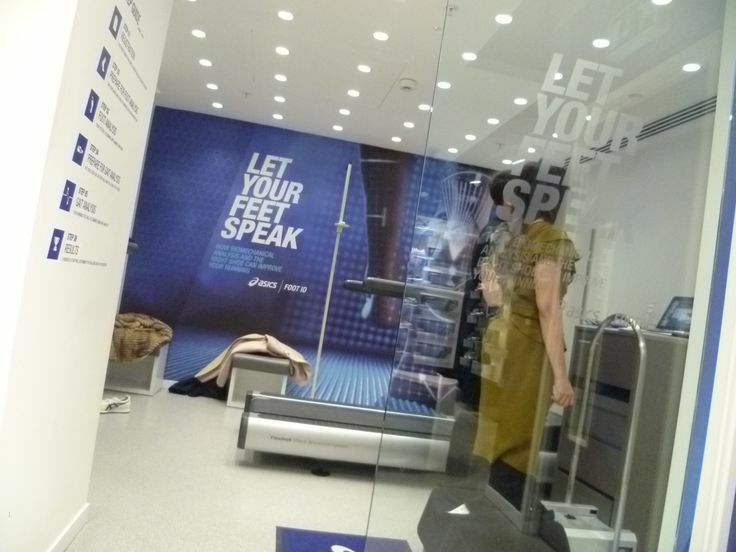 “Let for your Feet Speak” states the lab in a store that speaks for itself. 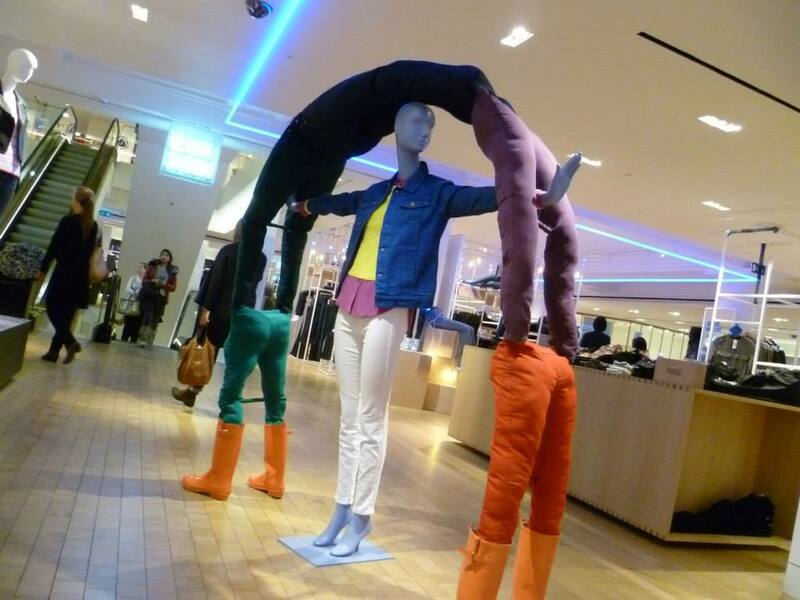 There are always ways to bring your brand and product to life for the customer. It may not be as obvious or dramatic as the Asics footwear lab, but if there is a brand, a proposition and a product there are always stories to bring alive! … particularly in this omni-channel, customer driven landscape, where endless assortment is often the commercial weakness of collections and the bain of time-starved customer. A return to selling must have heroes, and stars, and best sellers and favourites, essentials and most desirables, where the retailer leads the customer, the so-called experts inspire the uninspired consumer. 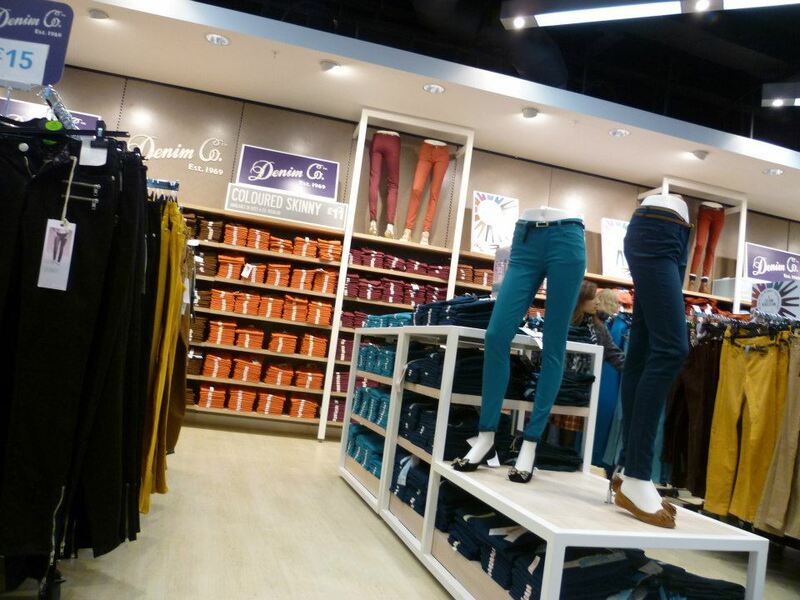 M&S leads with powerful propositions, selling the stories that connect with the customers, mixing the message from internal brands to power categories, end-use statements to fashion position proclamations. The purity of the information hierarchy, forsaken for the relevance of message, communicating connection points, right for the customer within the context of their lives where categories, collections and lifestyle choices vie for priority in their busy lives. 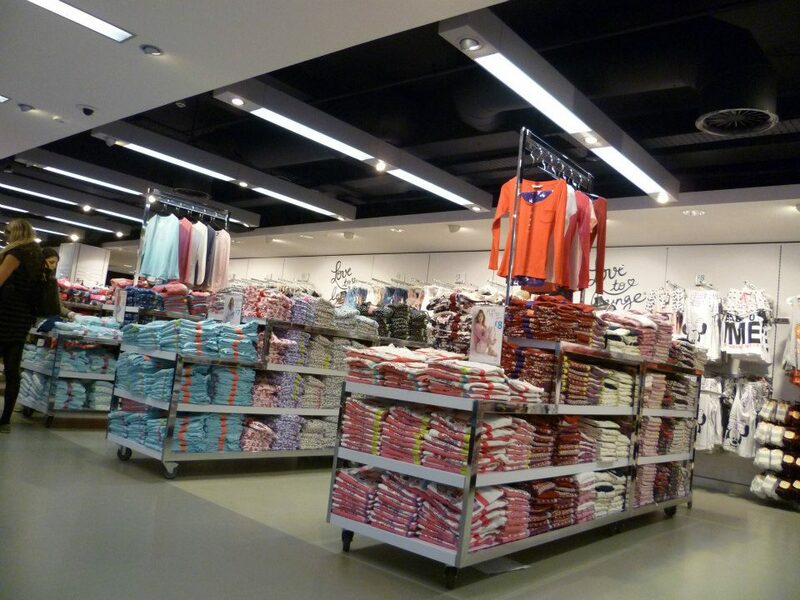 …is your assortment structure making life complicated for your customers, and difficult for yourselves? 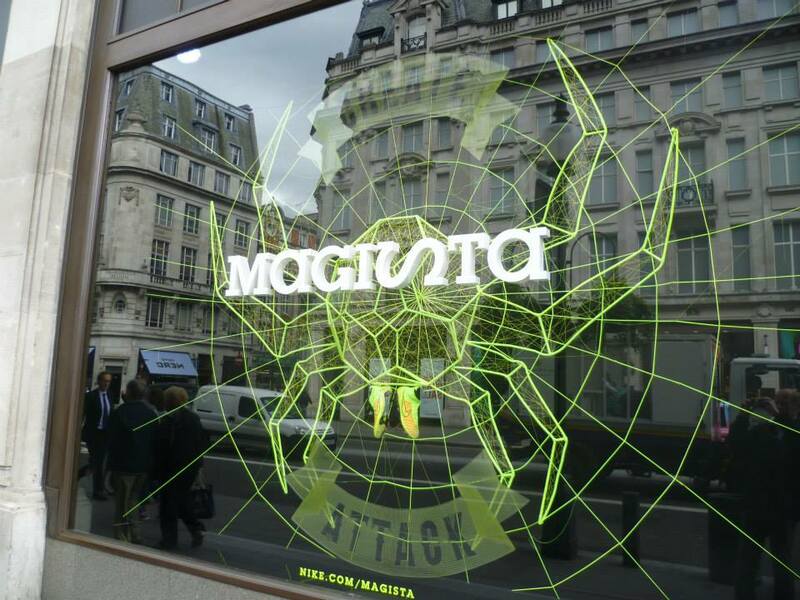 … may be a Swatch watch but the price of success is repaid many times in customer loyalty and social network buzz. Clever Swatch calculate the cost of a mystery watch giveaway in a sealed box for £25 with any regular purchase. No watch is worth less in the assortment, so the customer always wins, whilst the transaction rate goes through the roof, around the clock in a win, win situation. 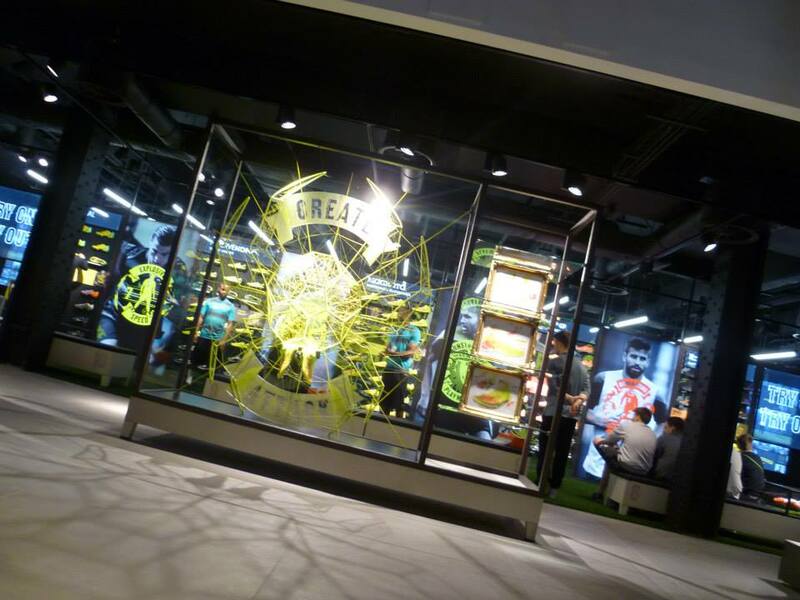 The store is turned into one promotion with vibrant graphics, emotive messages and at the centre of it all the mystery boxes in their resplendent spectrum of colour. Commercial success or marketing hype? Only time will tell. …is your return on investment undervalued when it comes to your competitive spirit?